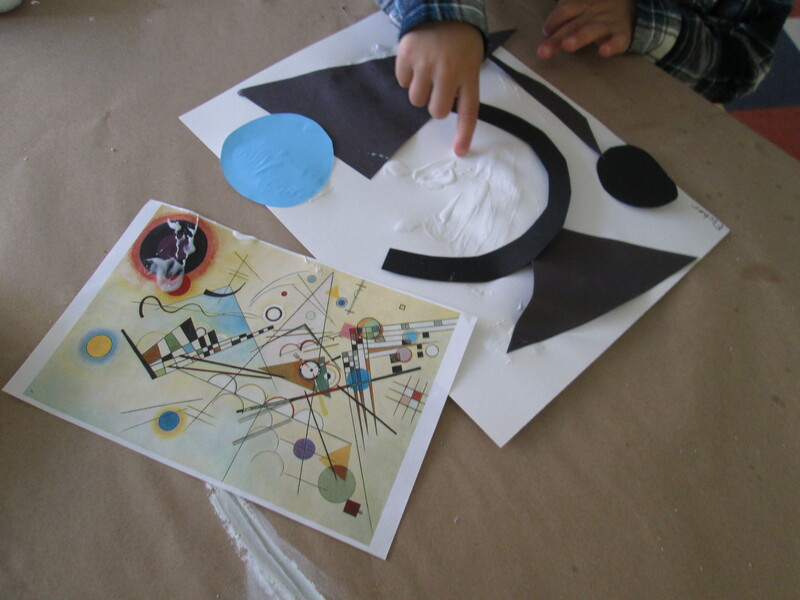 In the photo above, a 4 year-old child explores geometric forms after discussing the art of Wassily Kandinsky. During Art, children learned about his passion for music, his love of the arts and his desire to unite the two in harmony through color and form. Students continued to work over their collage the following class with watercolor while listening to music composed of a gentle and calm melody. Maybe my mathematical formula will be fancied by the DOE. Let’s keep the Arts alive. After all, the earth without “art” is just “eh”. We absolutely love your blog and find most of your post’s to be exactly what I’m looking for. Would you offer guest writers to write content in your case? I wouldn’t mind composing a post or elaborating on many of the subjects you write with regards to here. Again, awesome web log!